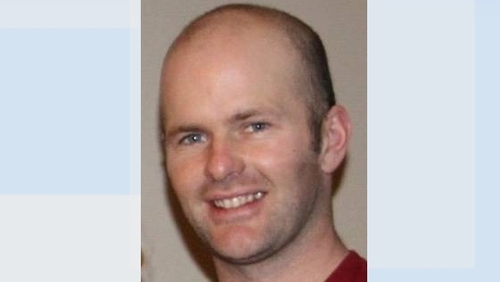 The wife of a Cork man who was killed in Western Australia just before Christmas 2017 has told a murder trial about the moments leading up to his death. Charles McCarthy, from Upper Aghada, Co Cork, died following an altercation in Perth when he was walking along Riverside Road in East Fremantle with his wife and a friend in the early hours of Saturday, 23 December. Mr McCarthy, 32, worked as a cable layer in Perth and had two children. It is the prosecution case's that Andrew Doan used a screwdriver to attack Mr McCarthy, resulting in his death. Mr Doan has claimed he acted in self-defence. Nicole McCarthy told the court that she was walking home from a Christmas function with her husband and another man, Jason Curran, when they encountered Mr Doan and another man fishing. The defence claimed that Mr Curran "vilified" the two men. Mrs McCarthy told the court she had no idea about the alleged comments made by Mr Curran. The court was told that Mr Doan chased the three following the alleged comments, threatening them. She said Mr Doan then allegedly retreated to a car park, where he was pursued by Mr Curran and Mr McCarthy. Mrs McCarthy denied that her husband had confronted Mr Doan after being provoked by Mr Curran. She told the court that after both parties threatened to call the police, she saw her husband "just do down, his legs buckled under him". Mrs McCarthy said her husband had a visible puncture wound on his head. She said that she and Mr Curran administered first aid until police and paramedics arrived. Emergency staff who attended the site all testified that Mr McCarthy showed no sign of life when they arrived before transporting him to Royal Perth Hospital. The court also heard that Mr Doan waited for authorities to arrive. A red flathead screwdriver that belonged to Mr Doan that was found by forensic scientists to be the weapon used has been admitted into evidence. Mr Doan has claimed that he acted in self-defence and that while defending himself from attacks by Mr McCarthy the screwdriver accidentally pierced his skull when both men fell to the ground. The case is scheduled to last another five days at the District Court in Perth.